The added comfort rings on each earpiece of the Curve Headphones for MP3 ensures a secure fit during energetic activities. LOGITECH has added to its growing portfolio of mobile music products by introducing two new headphones designed for the fast-growing MP3 market - Wireless Headphones and Curve Headphones for MP3. “People use their MP3 players in a variety of situations and they need stereo headphones that include features to enhance their music in different environments,” said general manager of Logitech Australia, Marco Manera. “Logitech has created a line of products that give people the power of choice when it comes to phones for mobile music players. 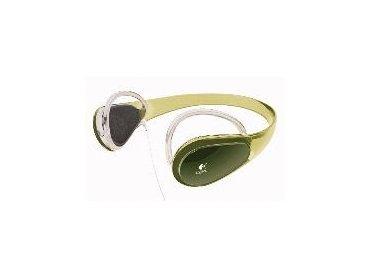 The Wireless Headphones for MP3 remove the hassle of tangled cords and unleash people from their music players. The Wireless Headphones for MP3 give new meaning to ‘mobile music’. With 10m of wireless range, people can leave their music player on the kitchen counter while they roam around the home, or put it away in a backpack if they’re on the go, without missing a beat. The integrated controls on the side of the headphones allow adjustment of the volume – without touching the music player. They feature advanced Bluetooth 1.2 wireless technology, which includes adaptive frequency hopping for interference-free, crystal-clear digital audio. The Wireless Headphones work with any MP3 or CD player and connect instantly by plugging the adapter into a standard 3.5mm headphone jack. They feature 40mm full-range neodymium drivers that deliver rich audio and enhanced bass performance, along with rechargeable batteries which can play up to eight hours of music per charge. The Logitech Wireless Headphones for MP3 have a comfortable, behind-the-head design and are made of lightweight, durable material. Designed for the active mobile music enthusiast, whether it’s at the gym, mountain biking or rock climbing, these headphones will stand up to the terrain. The Curve Headphones are crafted from translucent polycarbonate material, making them water resistant, lightweight and extremely durable. The added comfort rings on each earpiece to ensure a stable and secure fit during jarring activities.